Proper lubrication is the key to success. Keep your RockShox fork running smooth with regular maintenance. Refer to your service manual to specific fork oil type and amounts. Peace of mind knowing it is from SRAM for my Pike. Cost effective because of the amount. So good it makes your bike clear gaps for you! Needed for Pike rebuild as required. I bought some syringes and changed the oil in my fork. I feel much better about myself now, rather than just neglecting it. 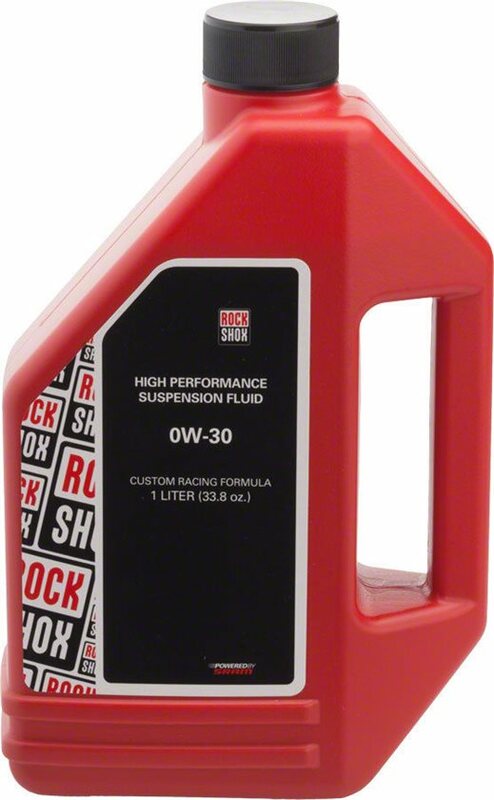 This oil is hard to find, as only rockshox makes 0W-30. Jenson's price was much cheaper than anywhere else I found. Typical Jenson excellence...fast, reliable service. 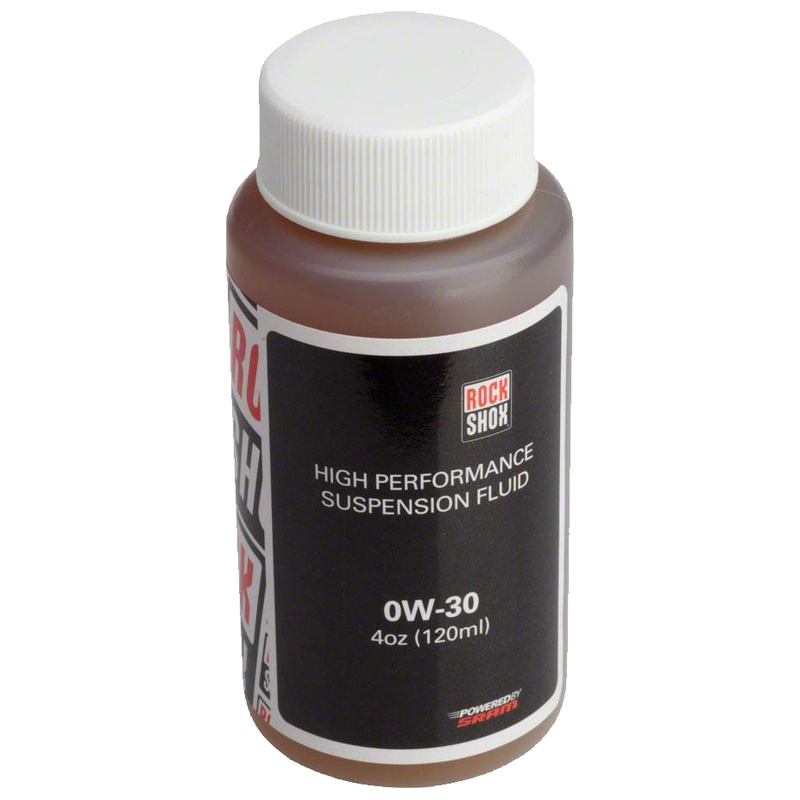 The suspension oil came as advertised and as pictured. It was easy to use and safe for storage. I would recommend this product to anyone who needs it! Best oil there is for your rockshox fork. Have no complaints. Look forward to plenty of smooth fork operation ! Very slippery lube. Not recommended for use on your person, which was a disappointment, so I had to use it only in my suspension fork. Go figure. Needed some new fork oil and didnt know where to go. Jenson supplied me with original roxk shox race oil! 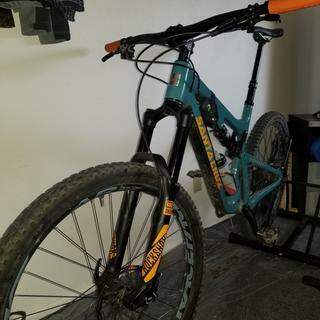 Now that i have it in fork, i am very determined my bike will last a long time!!!! I needed this for my Pike reservice. Good product and good price. Expensive for what it is but at least you know its the correct oil for your fork as recommended by the manufacturer. Just what I needed at a great price! Just what I needed for my lower fork service. Found the best prices here on Jenson. Fast shipping too! It's oil. It works. Don't buy others, use OEM & have no worries! Great price for a needed part. Used this to do my lowers on a RockShox revelation. Oil was perfect and was exactly what I needed. Fast shipping. Not very expensive and has alot more than I needed so it will be great to have around for thr future. For your Lower Leg Service! Bought this to service my Pike lower legs. I can get a couple good services out of this. Huge difference after doing maintenance, I only had my bike 3 months and the foam rings were hard as a rock and completely dry. Don't skimp on your maintenance invevals I was surprised how little fluid was in my stock pike and the rings being dry. Exactly what you need for your fork to work smoothly. Purchased this for a lower leg service on a Pike fork; the fork is much smoother now with less stiction. The old oil had thickened and having new viscous oil in there makes a big difference. Note: the container may look different/smaller from the one pictured. This item worked well, shipping was super fast ! I would recommend this product to others. Enough for a lifetime of services! Decided to get the large bottle since it was a much better deal, but for the home mechanic I now have a bit too much. The small bottle I had previously should technically last about 6 changes @20ml per Pike lowers service, but I somehow ran out in much less. Too bad I can't use this on other parts of my bike. Needed some oil. this is the oil specified. Works. You just gotta do it again! This right here ain't a hit it and quit it girl... she helps you keep it fresh and real live like. Get some. will this oil be ok for rockshox boxxer and vivid b1? BEST ANSWER: Use this (0W-30) in the lower legs of the Boxxer. Check the service manual for correct volumes. Look at the service manuals for your specific fork/shock at Sram dot com / service.